I’ve said it before: small things can make a big difference. This Thanksgiving (and every day), it’s important that we remember and give thanks for the little things. The little things, like microRNAs (miRNAs). Below is a slightly intimidating figure from Foulkes, et al. 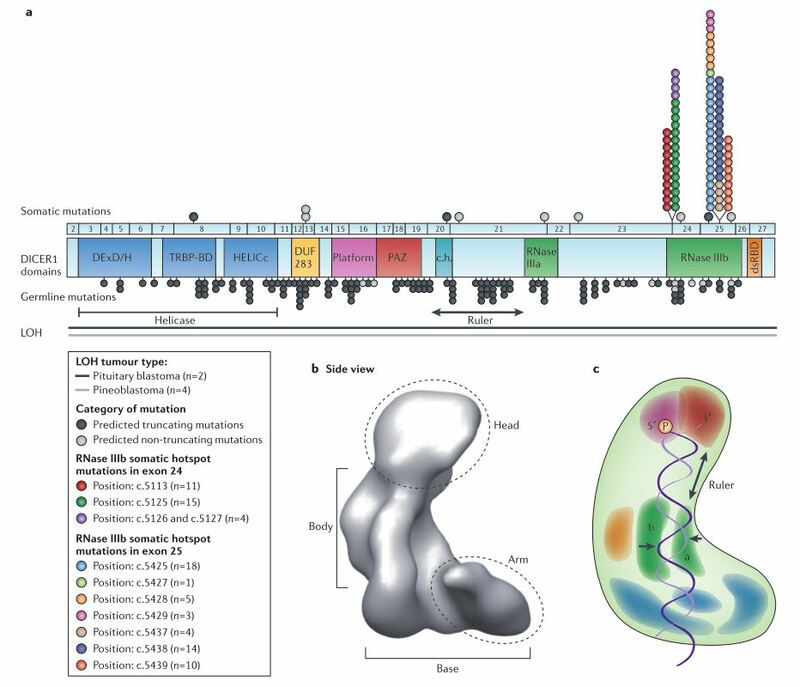 (2014) that shows the structure of Dicer (b and c), as well as several common mutations within DICER1 (a). Recently, Dias et al. (2014) reported that Dicer may play an important role in the “pro-resilient” effect of β-catenin.4 Briefly, increased β-catenin (Ctnnb1) expression in the nucleus accumbens of mice decreases their depressive responses in social defeat and forced-swim tests. β-catenin overexpression also produces anxiolytic effects in the elevated plus maze, while leaving preference for sucrose and cocaine unaffected. Dias et al. reported low β-catenin levels in the post-mortem nucleus accumbens of depressed humans. They also found that β-catenin binds to Dicer1, modulating miRNA production. They found that mice without Dicer1 did not benefit from β-catenin overexpression. Therefore, the pro-resilient effect of β-catenin may be mediated through Dicer. The Dicer connection between resilience, β-catenin, and miRNAs may provide targets for depression treatment in the future! 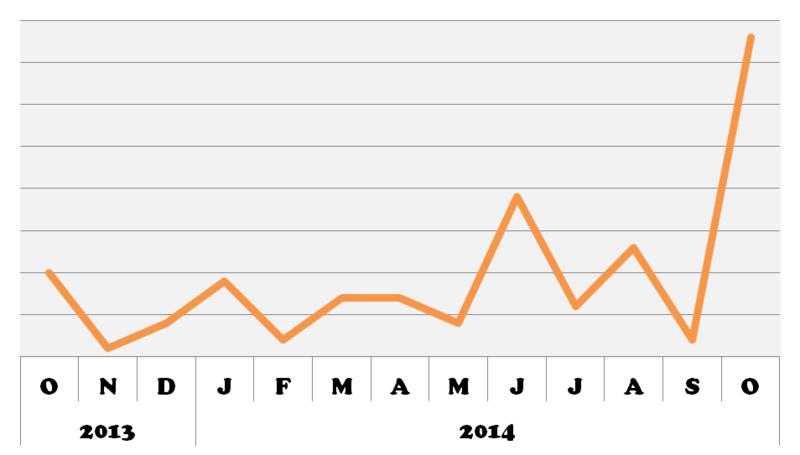 DICER1 popularity increased in October, potentially spurred on by the comprehensive review by Foulkes et al. published in September. It will be interesting to see how its popularity has increased this month as a result of the stress resiliency findings from Dias et al. !